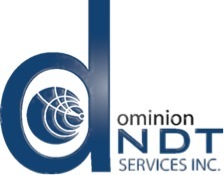 Founded in 2006, Dominion NDT Services, Inc. is a SWaM owned independent Non-Destructive Testing company based out of Richmond, VA. Our team has over 75 years of industry experience including Nuclear and Non-Nuclear both Military and private sector. Dominion NDT is committed to provide clients with integrity management solutions using Non-Destructive Testing practices in a safe, cost effective, and timely manner. Our commitment is achieved by innovative application of traditional and advanced Non-Destructive Testing practices. At Dominion NDT, we offer comprehensive inspection solutions such as Radiographic Testing, Ultrasonic Testing, Liquid Penetrant Testing, Magnetic Particle Testing, Hardness Testing and other NDT Methods to clients based on the requirement. Our NDT programs manage inspection data for Pressure Vessels, Piping, Tanks, and other types of equipment allowing you to organize all of your equipment related files, drawings, and documents for quick accessibility from a single location.